The INSPIRE partnership will bring 80 PhD studentships to the University over the next five years. The University of Southampton has been awarded funding for 80 new PhD studentships over the next five years as leader of the INSPIRE Doctoral Training Partnership (DTP), one of 17 announced by the UK’s Natural Environment Research Council (NERC). INSPIRE engages the University in partnership with the National Oceanography Centre, the Natural History Museum, the British Antarctic Survey and the Marine Biological Association. The partnership underpins the University’s and the UK’s world-leading profile within the global environmental science community. 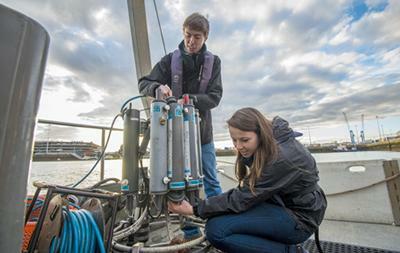 The £6.99M awarded by NERC will focus on studentships in the University’s Schools of Ocean and Earth Science, Biological Sciences, Engineering, Geography and Environmental Sciences, Physics and Astronomy, and Humanities. The success of Southampton’s bid meant that the University was awarded an increased number of studentships against a backdrop of stiff competition for a shrinking resource. The University of Southampton hosts and participates in a number of Doctoral Training Partnerships (DTPs) and Centres for Doctoral Training (CDTs) which are helping to train 2,600 research students with the skills they need to address some of society’s biggest challenges, including climate change, energy, our ageing population and high-tech crime and supporting the UK Industrial Strategy.